The Anker Ultrathin iPad keyboard/case (the Ultrathin from here on out) is full of surprises. Speaking as someone who isn’t a huge fan of the iPad, I found the keyboard/case combo to be extremely useful. 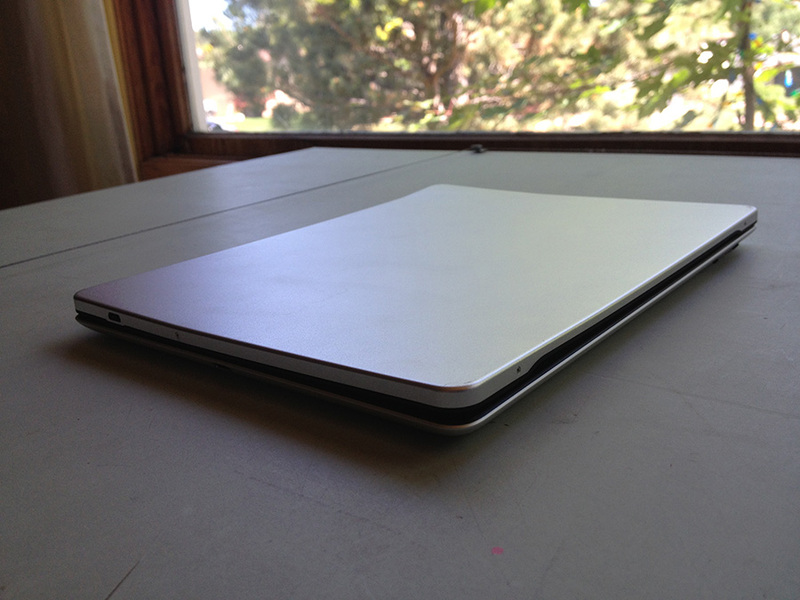 From the ease of its set up to its convenience, I was thoroughly impressed by the Ultrathin. 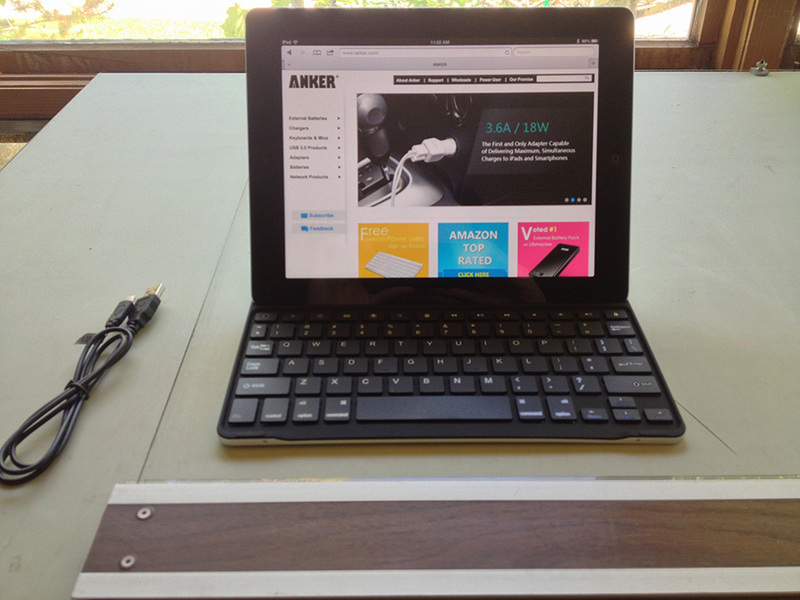 Out of the box, the Anker Ultrathin iPad keyboard was much easier to set up than I expected it to be. 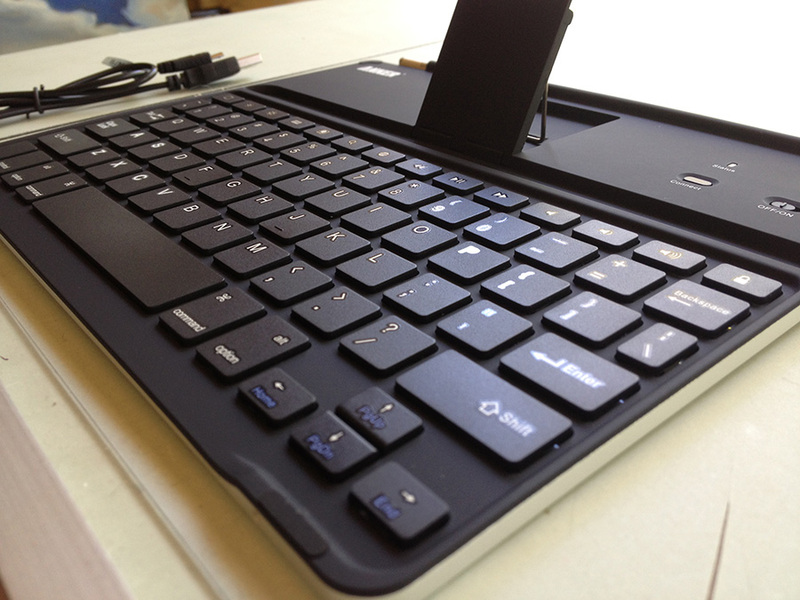 In an age of an abundance of third party electronic accessories, you can expect to a wrestling match with a combination of software and hardware to get the product to work as advertised, however, this was not the case with the Ultrathin keyboard. I had it all up and running in a matter of minutes, much to my surprise. I didn’t have any connection issues throughout my time with it either, which was quite convenient! Typing on the case felt very natural, and I did so with ease. Having done all of my writing on a laptop for the last year, I had no trouble adjusting to the keyboard. Emails are much more enjoyable, checking social media is a breeze, and navigating the iPad is smooth as ever. Keep in mind that if you’re used to a full-fledged keyboard with a keypad and F1, F2, etc., then you may find filling out forms to be tedious. Beyond that, I found the keyboard to be comfortable for my long fingers, and not excessively noisy. The stand on the back is sturdy, and does its job well. 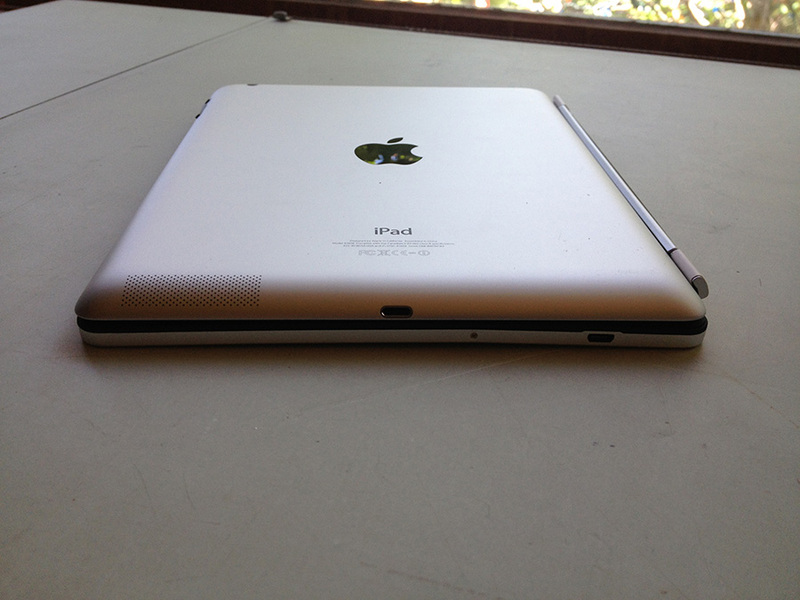 The iPad fits snug enough that the whole setup works well from your lap as well as on the table or desk. The argument could be made that the Ultrathin takes the core feature of the Surface and turns it into a bullet point for the iPad. This isn’t a bad thing, as a combination between using a keyboard and touching the screen is probably one of the coolest things I’ve experienced in recent tech memory. 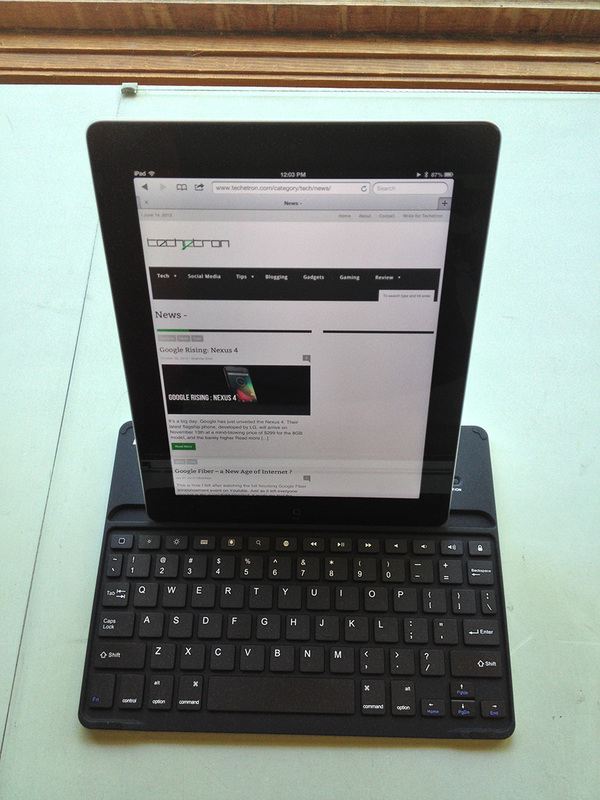 When you’re done using the keyboard, it can be flipped around to cover up the iPad, similar to the Apple iPad cases. I originally wasn’t too sure of the plastic covering that I saw in the pictures, and was doubtful if it would be sturdy enough to be considered a case. As it turned out, the Ultrathin served wonderfully as a case. While I’m sure it wouldn’t stand a hit from a hammer, you can rest easy knowing that your iPad would more than likely be alright if it were to take a spill. When it comes to gadgets, I’ve never been much of an accessories type. This is most likely based upon trips to RadioShacks and Best Buys in which I returned with pieces of plastic that now inhabit boxes in my closet. After this keyboard case, however, I have hope for the future of accessories. The Ultrathin was the most pleasant experience I’ve had with an iPad, and I wholeheartedly recommend it to anyone interested in improving productivity on a device that until now has been relegated to the coffee table.